Home > Travel guide > How is the summer morning of Hanoians? 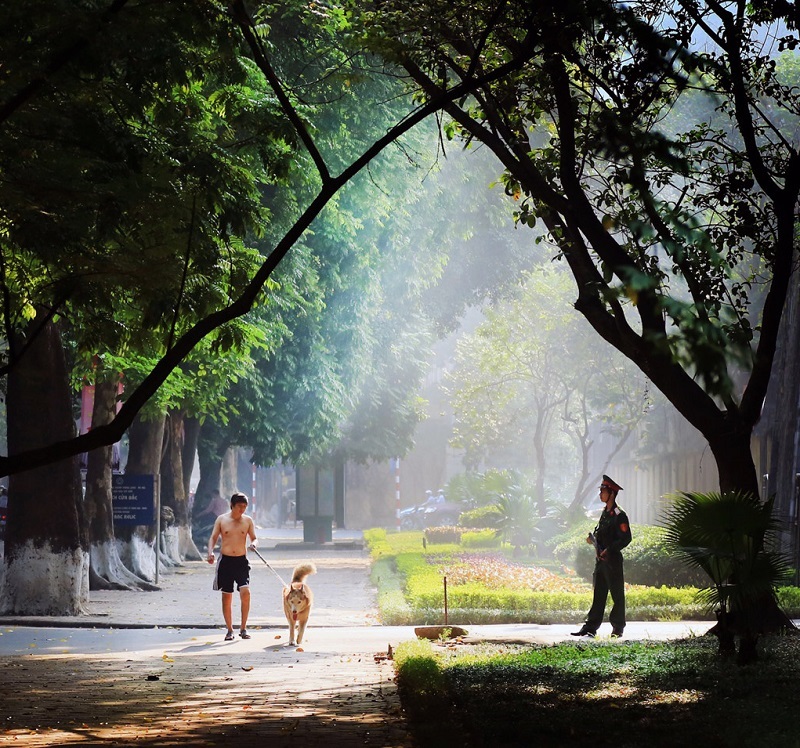 In these days, when Hanoi has experienced the winter overcast, the gentle winds subdued, the morning sun drops spread to the streets. Hanoi image is gentle, peaceful, so that people can see a new life flowing in the body to welcome a new day, good new week. Hanoi capital in the early morning peaceful is a refreshing atmosphere, everyone is radiant welcome new day. There is no place for the hustle and bustle of a big city. Everybody is calm with simple everyday work on the wide streets, empty people, sunshine. If anyone has come to Hanoi will have the same feeling, the city is so crowded, hasty and noisy. But that is only true when describing Hanoi in the daytime. And if somebody strolls through the streets of Hanoi early in the morning, that will change completely. Hanoi early morning is almost the opposite of what it occurs a few hours later. An atmosphere of tranquility, peaceful... replaces the noisy, crowded and hurried, the hustle that modern life is swept away by people. The busiest and busiest streets of the day also become "gentler" than early in the morning. Early in the morning, the West Lake was crowded but ordered by cycling teams around the lake, with them this wonderful time because of the sun, wind and the road or the adults to children to the park take a breath, fresh air. Or On the Hoan Kiem Lake, young men and women to the elderly to go for exercise, everyone is enjoying this fresh air. 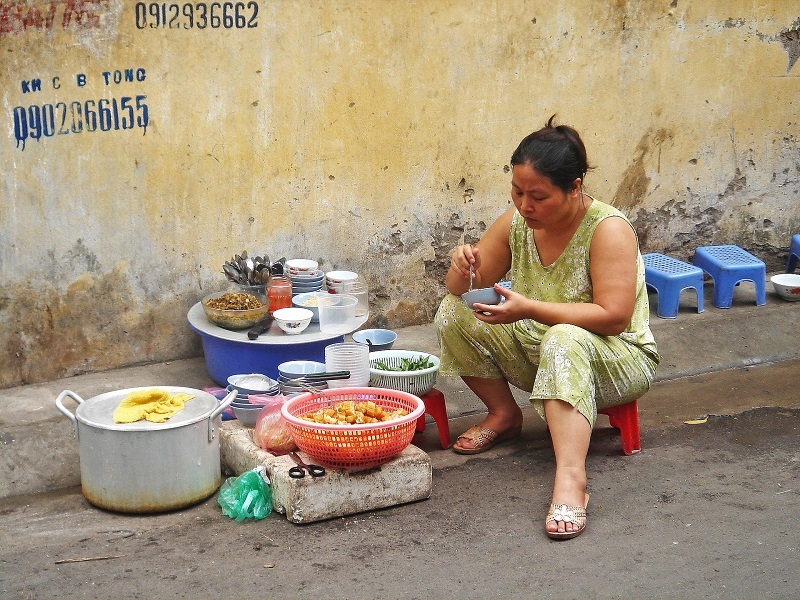 The roadside restaurant has started to serve customers, who choose a corner of the road to enjoy the meal, who chooses a gentle selection of small corner of Hanoi to enjoy the morning coffee before going to work. Early in the Hanoi morning, so simple but meaningful to many generations of Hanoians. If you plan to stay in Hanoi, stay here for a few days. Start a new day, do not lock yourself in your hotel, go down the road and join experience. a feeling will be very interesting.